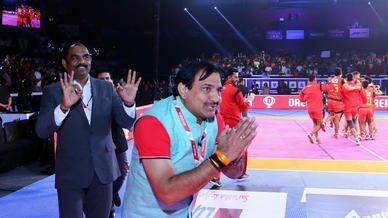 Jaipur Pink Panthers captain, VIVO Prokabaddi season VI and Indian kabaddi legend Anup Kumar announced his retirement from the sport before his side's home match against Gujarat Fortunegiants on Thursday. A master of the Toe Touch and the Bonus ka Badshah ranks among the top 10 raiders in VIVO Pro Kabaddi with more than 500 raid points to his name. He has also captained U Mumba to three VIVO Pro Kabaddi finals, winning the crown in Season 2. His leadership style, which was a mix of controlled aggression, and his icy-cool demeanour on the mat earned him the moniker of Captain Cool. 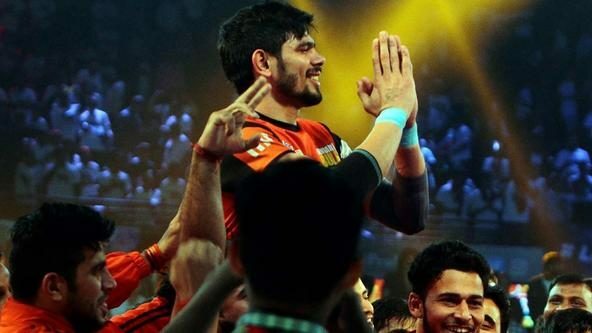 Kumar has won almost every title possible in his kabaddi career including the Kabaddi World Cup in 2016, the 2010 and 2014 Asian Games Gold and the VIVO Pro Kabaddi title with U Mumba. However, the crowning glory of his career came in 2012 when he was awarded the Arjuna Award. "The day I took to playing kabaddi professionally, I had one dream, to represent my country and bring back a gold medal, I am one of the few lucky people who had the opportunity to accomplish the most important dream of my life," reflected Kumar, whose career spanned 15 years, laced with excellence in all quarters and several headlining achievements. 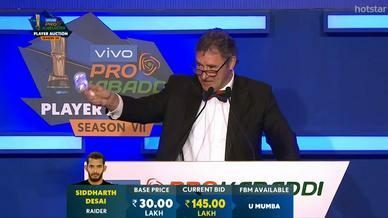 "With VIVO Pro Kabaddi, the magnitude of the sport has grown leaps and bounds, and I could not be happier than to watch and grow and be a part of this journey. This platform is an extremely important aspect of my life and that is why today I use the platform to make this announcement,” said Kumar. 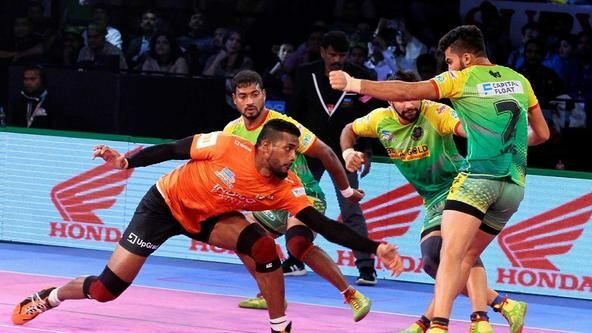 VIVO Pro Kabaddi League Anupam Goswami agreed that the league provided an ideal platform for such a significant message from a player of Anup Kumar's stature. "This is a great decision by a great player from a great stage of kabaddi," Goswami pointed out. "It is also for the first time a senior player has announced his retirement of his playing career during an ongoing season of VIVO Pro Kabaddi. Just shows the importance kabaddi players attach to a league like VIVO Pro Kabaddi. Anup of course has been a senior player and a role model athlete for this sport. We totally respect his decision." 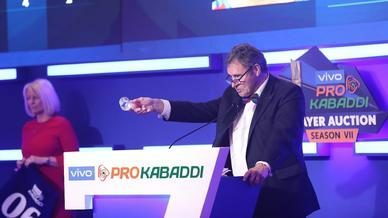 "It is well recognized that VIVO Pro Kabaddi has had a profound impact on the emergence of the sport on the global stage. Anup has played such a crucial role and a distinguished role in the process," Goswami pointed out. "He has established himself as a role model by his sportsman spirit, by the competitiveness of his captaincy as well as his play. "He will continue to impress kabaddi players for a long time. I am sure that this retirement decision of his career relates only to him as a player and he will continue his engagement and involvement with kabaddi in various roles. In that process as well, I am sure he will emerge as role model for kabaddi players." A stalwart of the sport who has delighted with his gameplay for a decade and a half, Anup Kumar’s name is sure to live on in kabaddi for many years to come. Ronnie Screwvala, team owner U Mumba, said, “He is one of the smartest and intelligent players in kabaddi. He gets his sense of timing on the field and I think he gets his timing when he is looking at his own career off the field as well." "I think Anup Kumar is one of the greatest sportsmen India has ever had," remarked Jaipur Pink Panthers owner Abhishek Bachchan. "He is grounded, humble, extremely polite and always there for his peers, especially the younger athletes, and this is what everyone should pick up. I think young players should make their own style, and not try to copy Anup, because there is only one Anup."